Saveur, the ultimate foodie magazine, devoted 14 pages to the article. Chef Presilla’s visit to Salvador and quest to immerse herself in authentic Bahian cuisine uncovers an interesting connection – the bond between the secular and the sacred. She writes,“Feasting is an essential part of Candomblé and is linked with the tradition of offering food to the orixás who are believed to have well-defined cravings. For example, Oxala, Candomblés, supreme, Zeus-like god, prefers plain, unsalted white rice; Oxum, the sensual Aphrodite-like goddess who rules the rivers, has a predilection for more-seasoned dishes, such as xinxim de galinha, a chicken stew made with dendê oil; and Iansã the female thunder goddess, demands acarajé” (deep fried fritters made from black eyed peas). Ultramarinos – Presilla’s Marketplace for Latin kitchen magic. Since the article was published in 2007, I’ve referred to it numerous times. With lush, vibrant photography, recipes like Moqueca de Peixe (fish stew with coconut milk) and instructions for making Brazil’s national drink, Caipirinha, Food of the Gods, tempts with a profusion of colors. Also, the article contains a “Salvador Guide” with recommendations on places to stay, to shop and to eat. It has become a useful resource for me, as valuable as any guide book. Hailing from Santiago de Cuba, the eastern Cuban city steeped in African tradition, I figured chef Presilla had a wealth of personal history to share about Cuba; a country which continuously fascinates and amazes me. Chef Presilla’s deep knowledge of Latin America’s African roots includes academic training. She’s an anthropologist, having earned her Master’s Degree at New York University. Her studies included research in Afro-Latin, West African and Caribbean traditions with additional work dedicated to Yoruba culture. I just knew she was someone I wanted to learn from, both from a culinary and historical perspective. In July, after several attempts to meet her, my goal was realized. 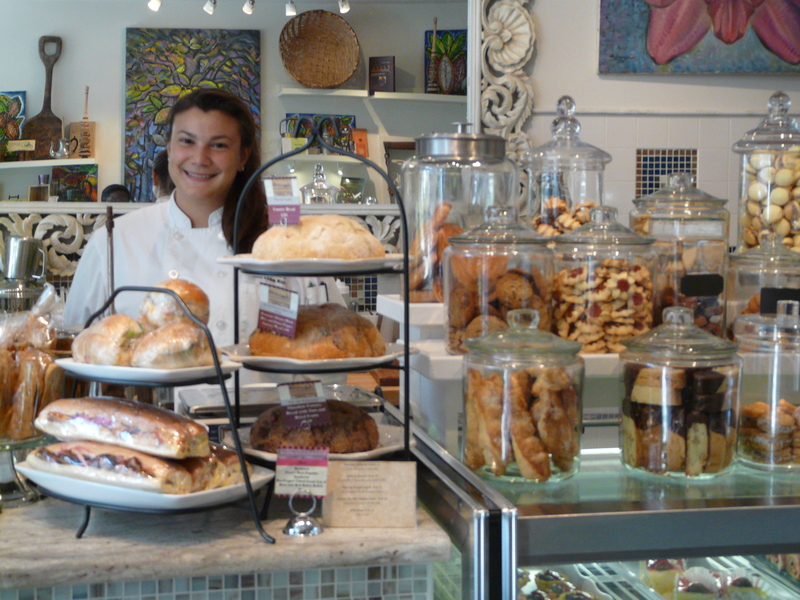 We met late one afternoon at her Hoboken restaurant, Zafra. The interview continued around the corner at her store, Ultramarinos. We concluded the evening with a delectable Afro-Ecuadorian seafood dish at her third establishment, Cucharamama. I think it’s safe to say, summer was highly productive and rewarding for Maricel Presilla. A few weeks prior to our interview, she won the prestigious James Beard Award “Best Chef Mid-Atlantic,” often described as the Academy Awards of the culinary world. And days before our get together, she put the final touches on her much anticipated pan-Latino cookbook, Gran Cocina Latina. In the next post, we will share with you chef Presilla’s thoughts about her big win in the culinary world after years of nominations, her “big” Latin cookbook which took years to complete and my inaugural dish at Cucharamama, the scrumptious cream based Afro-Ecuadorian seafood stew, which I devoured in minutes and left a big impression. Hurricane Sandy devastated many communities along the US East Coast and in the Caribbean. With a particularly destructive blow to Hoboken, New Jersey. Let’s hope that chef Presilla, staff and patrons are safe and well.